I check lists of dropping .co.uk / .uk domains from time to time and sometimes it’s crazy what these guys are dropping. 3-letters, solid one word domains and in general a pretty high quality of names. A guy from the UK told me they indeed have a lot of registered .co.uk domains in the DNS (almost 10m under third level) but most of them are parked and undeveloped. 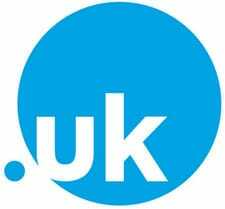 New businesses in the UK go with a .com when they start and the older ones already have their .co.uk’s developed. I saw .uk names dropping where on the matching .co.uk was a developed website / business. They don’t seem to care. So the very low adoption rate of the .uk version is no surprise to me (less than 25%). I consider the whole program a major failure for Nominet. I’m British. This is one case where we knew we were being ripped off. I have registered 4 relating to a developed .com website for which I also have the co.uk. Otherwise it has actually made me drop a bunch of co.uk domains rather than also register the accompanying .uk version. There are still some more co.uk that I’ve kept for now but haven’t decided yet whether to get the .uk. It has amazed me for quite a while too – people in the UK just don’t seem to care one bit or have the slightest interest in .uk. And when I asked about it here of all places, nobody even had the slightest interest in responding: http://domainincite.com/24003-at-eleventh-hour-most-uk-registrants-still-dont-own-their-uk-names#comment-554988. So they bottom line is: if you think this could be a good source of a profitable scoop for selling domains, think again. Not really that amazing that nobody is interested, the standards were set in 1995. Fools gold.